Joe Leone's retail shop offers their grocery market, where you'll be able to find seasonal grocery items, gourmet gift bozes and baskets and imported dishware! Click here to learn more about the grocery market! Celebrating 20 years this year! 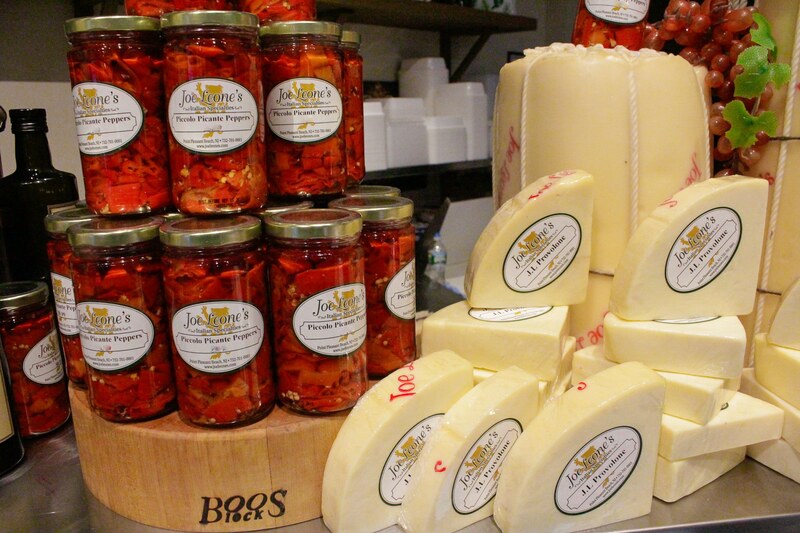 Come Shop, Savor & Experience the Premier Italian Specialty Destination at the Jersey Shore. Co-founded in the spring of 1997 in Pt. Pleasant Beach, NJ by Joseph Leone Introna and John Hilla, Joe Leone’s originated from the passion for baking, cooking and dedication instilled by Joe’s grandparents and John’s determination to achieve success for himself and his brother-in-law. Driven by a vision of culinary excellence & commitment to quality service, Joe Leone’s Italian Specialties is an award winning Italian food retailer offering an expansive array of imported gourmet retail products, homemade breads, salumeria, handmade fresh mozzarella, restaurant quality prepared dishes, all produced fresh daily, along with an incredible selection of both imported & domestic cheeses & unique specialty goods. Custom Gift Baskets, Handcrafted Gift Boxes and Gift cards are also available. For catering orders we will deliver and set up to surrounding locations. Call (732) 701-0001 for more details.